today i wanted to take you through a bunch of the exhibits from Cosmoprof in pictures... so, this post will be loaded down with photos :D i hope you all get at least of taste of what it was like to wander around this giant place! first off, we went past the Jessica booth... i didn't really get a chance to talk to the vendors there, but i did take a couple shots! i really liked how funky and mod their booth was, it looked more like an actual showroom than any other booth i saw. find them at... http://www.jessicacosmetics.com/. and here's a close up of that AMAZING chandelier... i want one for my craft room! 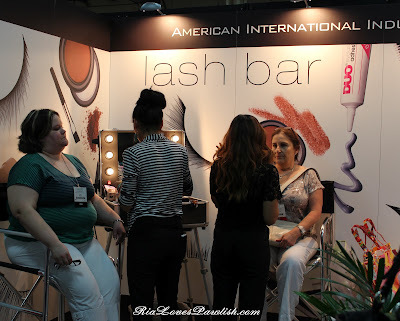 this is Destany (Confessions of a Sarcastic Mom) getting some lashes put on at the American International Industries booth... we all took turns :D they are huge company that own gems like China Glaze and Seche Vite! 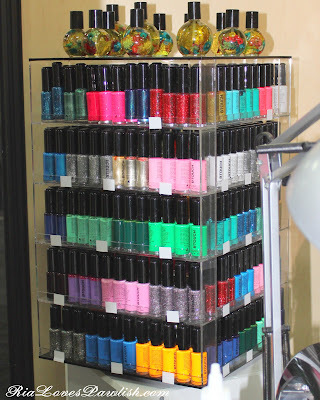 they also have an extensive line of nail art polishes! 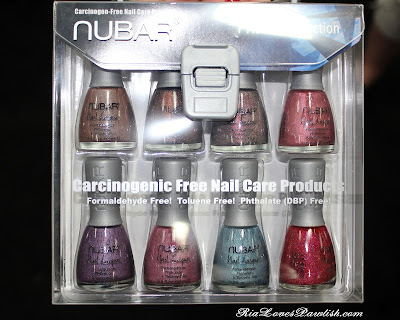 i didn't take many pictures at the Nubar booth, but these are two collections that i think i'm definitely going to have purchase in full! find them at... www.ByNubar.com. 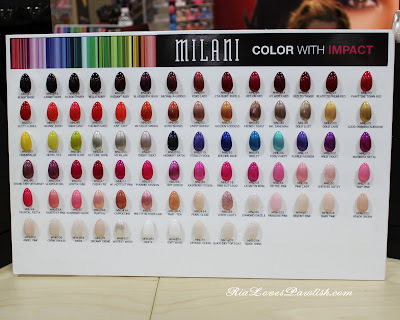 i didn't get to talk to anyone from Milani (and i actually have yet to try their polish!) 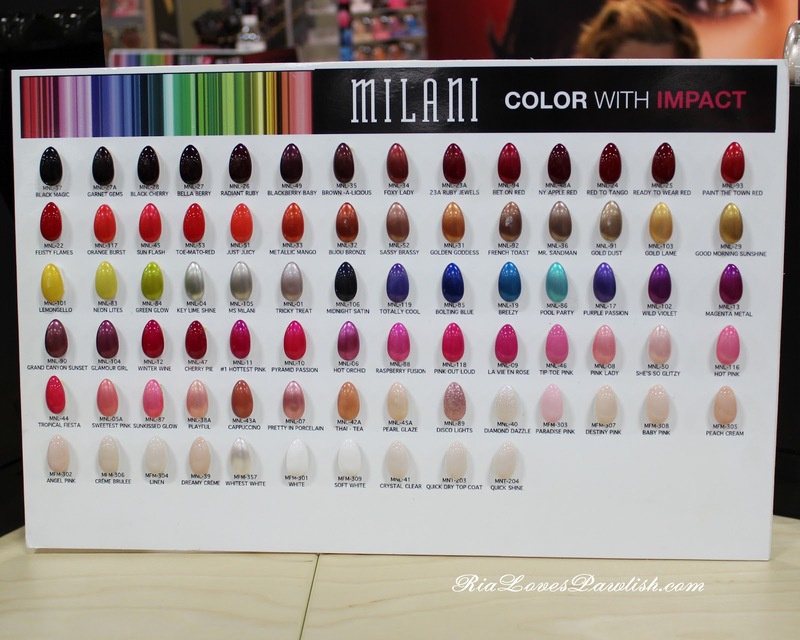 but their board showing off their polish colors is just so pretty, i had to share :) find them at... http://www.milanicosmetics.com/. 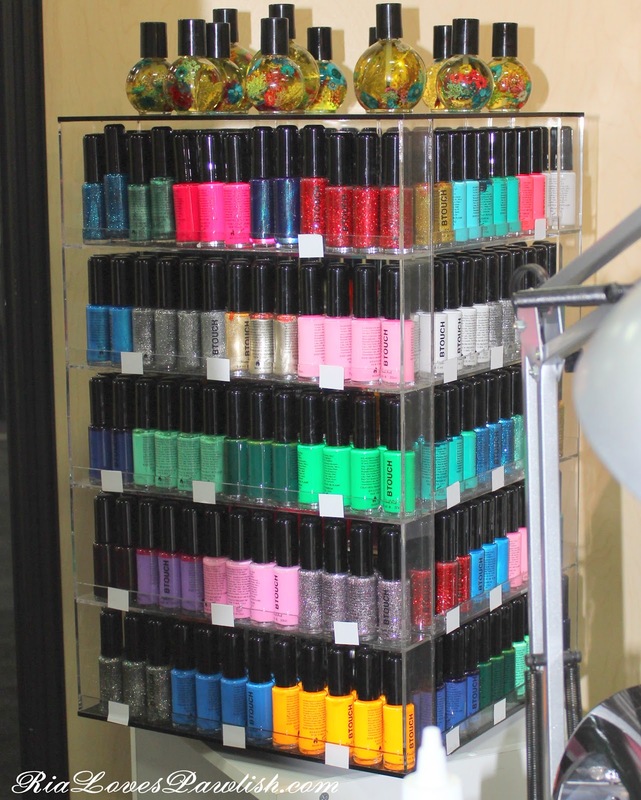 and Jesse's Girl regular polish line... with a bit of their cosmetics in the shot, as well! 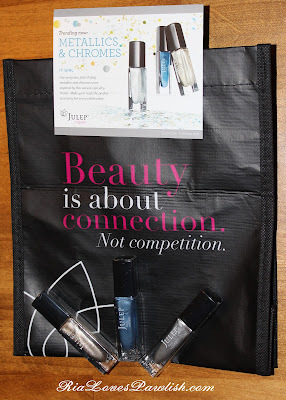 find them at... http://www.jessesgirlcosmetics.com/. 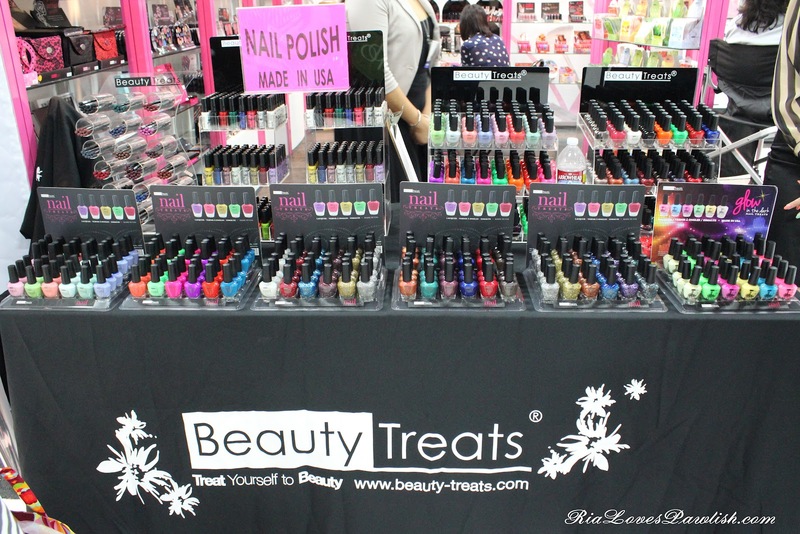 Beauty Treats is another brand i hadn't heard of before... i didn't have time to talk to the vendors, but i wanted to share the display because it was so pretty and full of color. 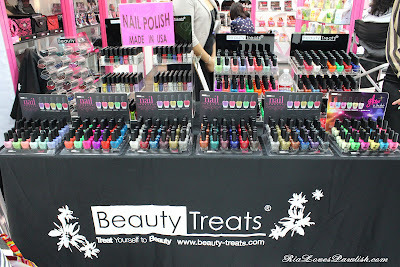 plus, major bonus if you're American, it's made in the USA :) find them at... www.beauty-treats.com. 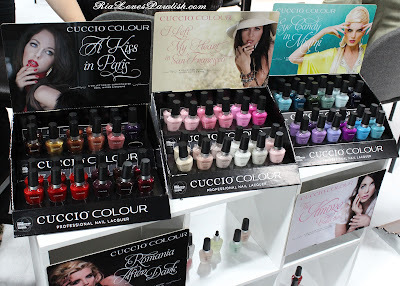 i'm going to finish up with a brand that debuted at Cosmoprof, Cuccio Colour. they have gorgeous colors and the one i swatched had a great brush and was super pigmented. i will have review on it... coming up! i can't wait for this company to come out in stores, they are making a great start! 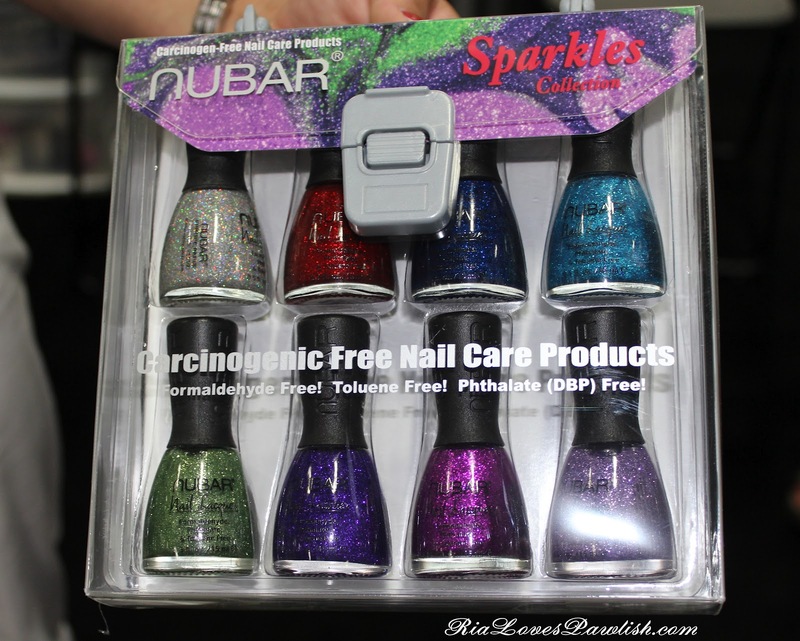 this is a professional lacquer, so it won't be available at places like Walmart, though. 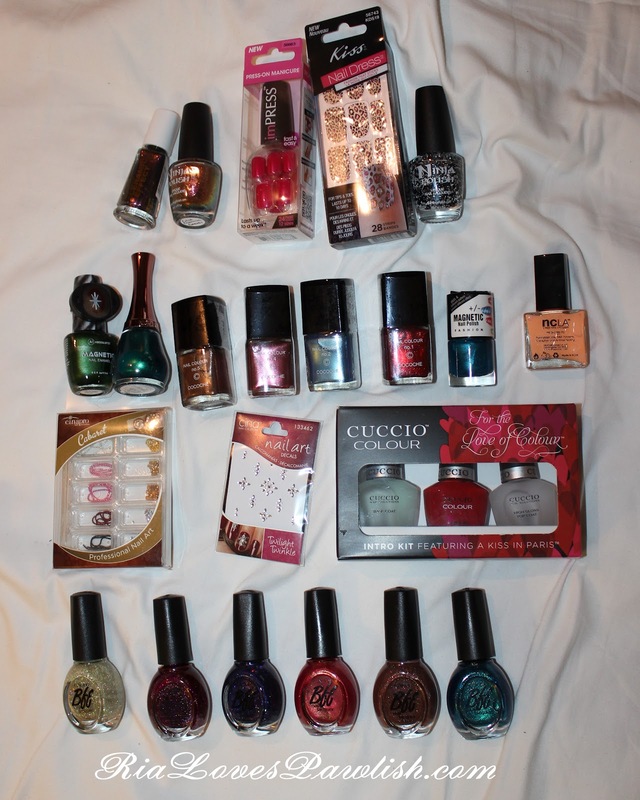 and some collections... i'm really loving the colors in the Eye Candy one! i was so privileged to receive a press badge for the event, i'm hanging in up at my nail desk as a memento! walking into this conference was completely overwhelming... there were 856 exhibitors there... along with over 25,000 attendees! this started up two days of walking... i have no idea how many miles we walked... absolutely loads. 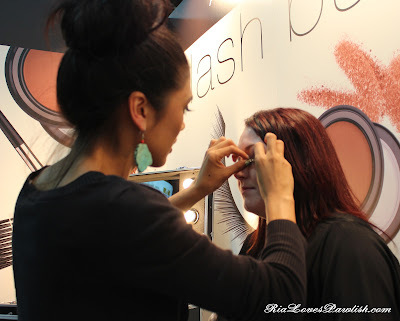 i think tomorrow i'll do a post on some of the exhibitors i met saw! the groups changed around a bit, but i mostly palled around with Shelley (Polarbelle) and Destany (Confessions of a Sarcastic Mom). we were constantly meeting with companies and learning about the product line, we barely to took time to eat! 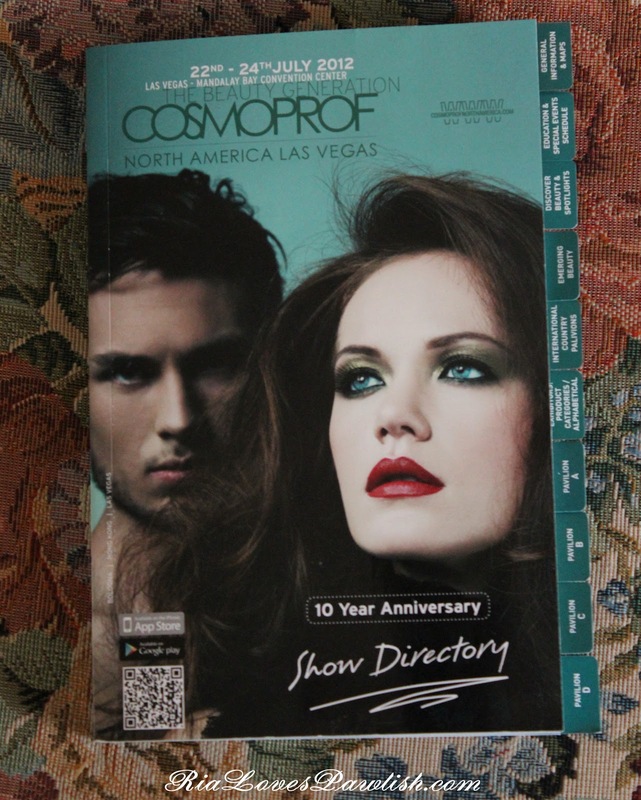 this book had information on all the exhibitors... and it's tabbed! how handy is that?! the bloggers had events to go to both nights i was there, the first one was with Ninja Polish and Katie Cazorla from Nail Files, the second night was The Layla Party! i really enjoyed hanging out with everyone in a social setting... there wasn't much time to chat during the day. 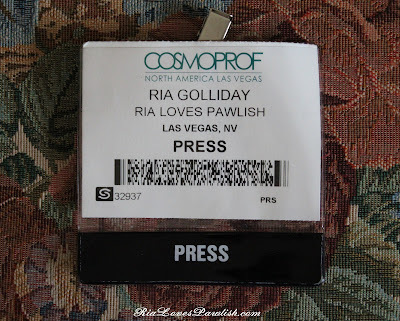 if you are a blogger, i highly recommend going to Cosmoprof next year... you learn so much! not only about companies and their products, but also about blogging in general. i'm so glad all my family and friends pushed me to go... it was definitely worth overcoming the fear. 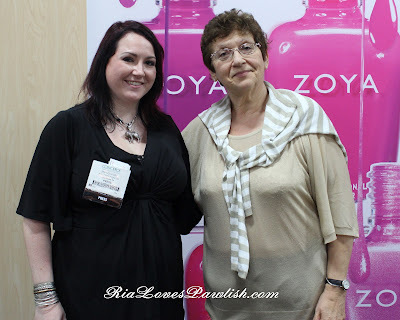 i wanted to post pictures of the amazing ladies i got to meet while at Cosmoprof... it's really awesome to be able to meet people you admire so much! this is Julie G from Jesse's Girl cosmetics... she is just as nice in person as she seems in her Youtube videos! and Rebecca Rachael (Jesse's daughter! ), a make up artist who designed a totally new brushroll! check it out on her arm... it's such a great idea! buy it at... http://www.brushsleeve.com/. 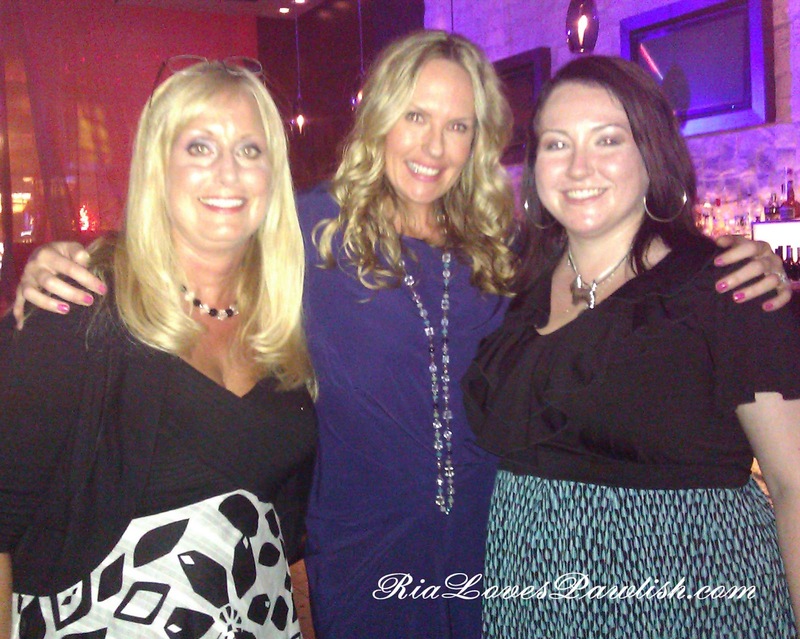 this is me and Shelley (Polarbelle) with entrepreneur Sinead Norenius... you might have seen her on HSN with her Beautisol self tanner! 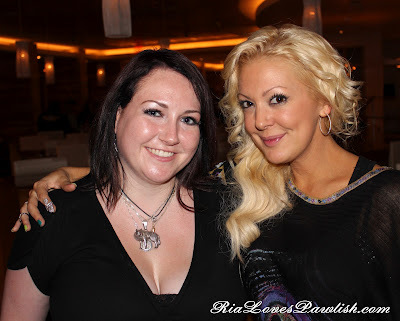 this is me with Katie Cazorla, the star of the reality show 'Nail Files'! it comes on Sundays at 9 on the TV Guide Network. she even autographed a sheet for my blog... so sweet!! i have on giant feather eyelashes in that last picture, which is why i look a little strange! it was so fun to meet all these ladies, all of them are so successful and inspiring. oh, man... it's good to be home! i guess it's good i came home yesterday because i got sick last night... i think my body was just really tired. we took Jewels to obedience school tonight, and the fact that i've been gone most of the week really showed... we didn't do very well! we'll have to work really hard this week so we can catch back up with the rest of the class. 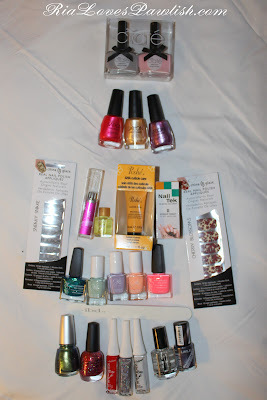 in the top right corner you can see the famous Sticks 'n Stones... i'm so excited to try out such a sought after polish! 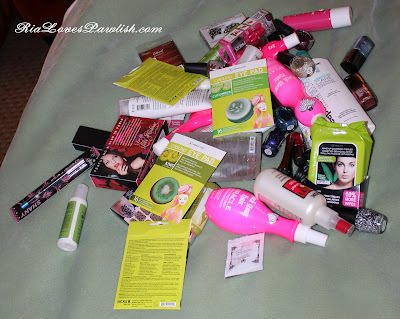 the hair care products i'm super excited about trying are the Rusk Deep Shine line... at least i think those are what i'm going to use first, i have a lot to choose from and they all look so awesome! this is me with the Layla ladies! and this is the super generous goodie bag Layla gave out! i CANNOT WAIT to start swatching and playing with these babies… a couple new collections in there! it was great to be able to mingle and chat with other bloggers, having a couple cocktails. during the conference we were all so busy working that we weren’t able to just hang out. i can't tell you how awesome it is to be around other people who are crazay for polish... all my friends in real life just don't get it :D and of course, spending time with the Layla ladies was absolutely amazing! 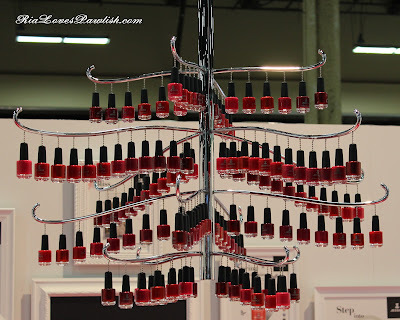 So, Ria... What Nail Stuff Did You Bring To Cosmoprof? 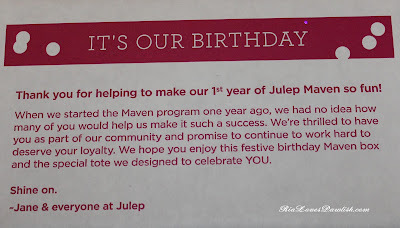 whew, late post today! i have had such an awesome day... i spent most of it wandering the Cosmoprof floor, then we had the Layla cocktail party tonight... i'll talk about that in my Cosmoprof post on Layla :) suffice it to say... they are an amazing company! after the party ended, the Polar Belle and i were starved, so we went to a little diner inside Mandalay... and it was awesome! i highly recommend trying out Red, White, and Blue if you come to Vegas and want a little American style diner... the name is a little wonk, though! i thought i'd show you just how little nail stuff this nail blogger brought to Vegas. look and be amazed! can you believe it?! 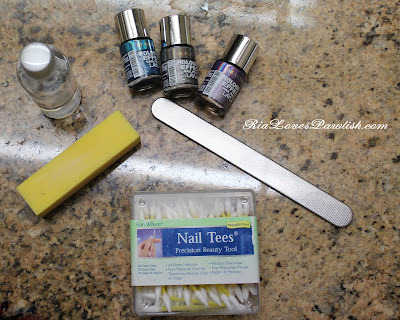 acetone, buffer, pointy Qtips, file, and three Layla Hologram Effects! when i got to my hotel, i realized i had even forgotten cotton balls to use with the remover, so i had to buy some... but since they didn't come on the plane, i figured they didn't count in the what i brought department :) when i went through my stuff to do this post, i thought for sure i'd brought more than that... turns out i scaled way down! 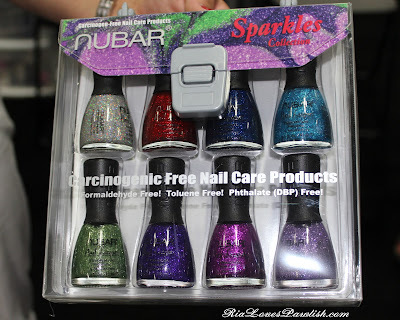 i brought three polishes because i wanted to change my nails each day and again for the Layla party... sadly, i never had time to switch out from the Ultra Violet, which is what i put on Sunday morning! happy news, though... Seche Vite adds massive amounts of wear time to the Holograms, which for everyday wear makes it worth slightly dulling the holo effect (at least to me!). i had planned to post about upcoming polishes and general polish info i learned today... but it's so much i need to sort through it all before i can make the post! i will be doing those posts once i get back home, i don't want to miss anything. i will probably do multiple nail posts and one post about non-nail things. 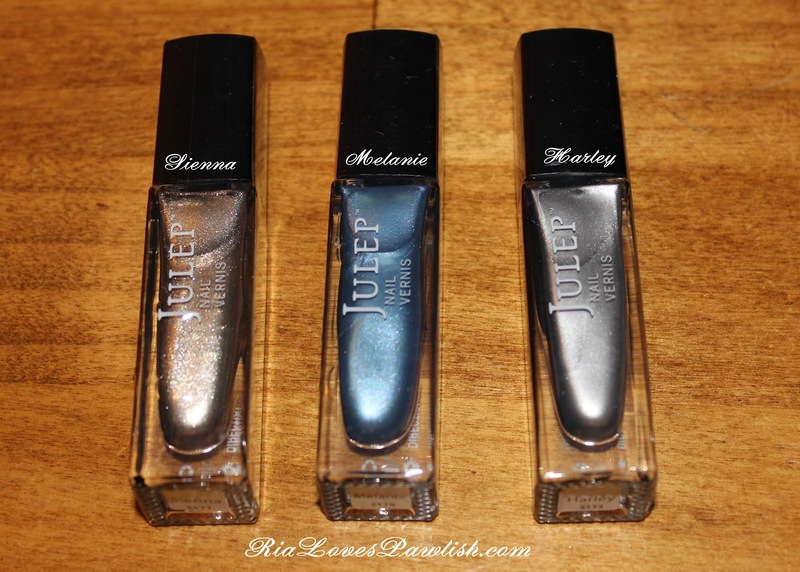 and here are the nail samples! i can't wait to start trying things out! i'm going to have to stuff everything in my suitcase and check it through... i'm a bit nervous about my suitcase not making it, which is why i carried on everything to get here. however, it 's totally worth it to be able to try all these new products! 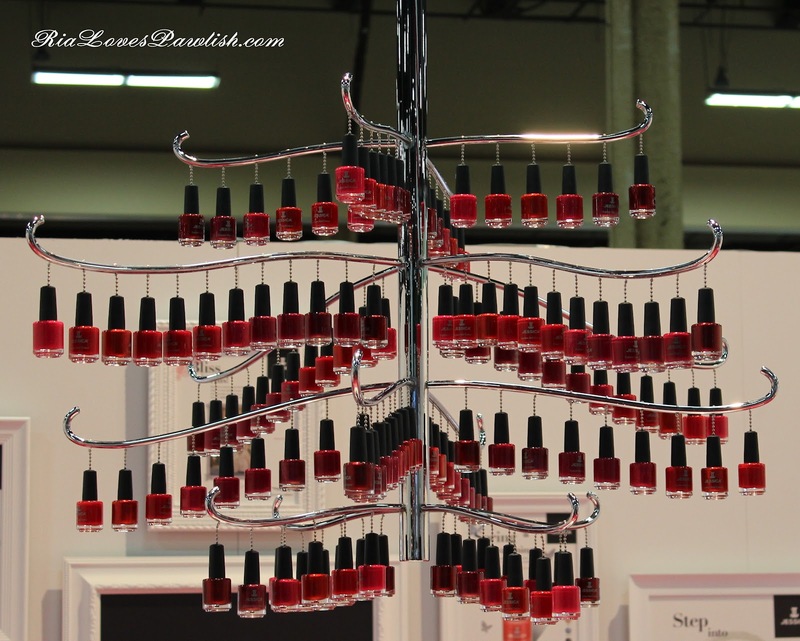 Returning for a 6th year, Discover Beauty has unearthed several remarkable new products with the expectation that they will be added to the current marketplace. The event organizers are proud to announce the hand-selected brands that will be part of Discover Beauty 2012. This line-up includes hidden gems from across the globe – each one adding value, solutions, and excitement to the show and to the most important part of the equation – the consumers. Beautécam is a Social Application that enables to skin check and search for people who has the same skin type on smartphone. Our target users are people who want beautiful skin all over the world. We keep providing service that shares information from analytical images, and achieve new marketing. BioElixia is a new Australian scientific beauty brand, developed from over 10 years of world-first biotechnology research. Our patented TPM Delivery Technology is the foundation of our BodyShaper product - a revolutionary anti-cellulite cream that is scientifically proven to reduce the bumps and dimples associated with cellulite in 28 days. Caribbean Joe skin care for face, bath and body are newly innovated collections inspired by the authentic islands of the Caribbean….taking you and your skin to a total vacation… Each product is specially crafted to capture the natural beauty of the dazzling white sands, crystal blue waters and scents of the islands. Fairiche's Radiance line is one of the most powerful brightening systems on the market addressing the 5 most noticeable signs of aging. Formulated with natural skin brightening extracts, Vitamin C antioxidants and powerful anti-aging peptides it lightens dark discoloration, softens fine lines and improves skin tone/firmness. Beyond Mascara! It's Paint-On False Lashes. Fiberwig has been staying with TOP SHARE since launched 11 year ago in Japan. Fiberwig has been sold more than 3 million units per year, and the sales is very stable and still keep attracting the new customers in the new generations! GOLDFADEN MD is the only physician strength, dermatologist developed, natural skincare line in the industry. The highly efficacious, non-prescription skincare solutions utilize state-of-the-art technologies with active plant cells and anti-oxidant rich botanicals. GOLDFADEN MD's problem-solving skincare remedies target a wide range of specific skin concerns inspired by treatments developed in Dr. Goldfaden's dermatology practice-no appointment required.Physician Strength, Naturally Inspired ! Oscar Hevia, MD, cosmetic dermatologist and founder of The Hevia Center for Research has created a superior line of skincare products using scientifically active ingredients to help prevent skin aging and encourage skin rejuvenation. Introducing: Hevia Skin Science…Ingredients with a Purpose™, containing his proprietary, patent-pending antioxidant red mangrove extract and his own exclusive OH-XI Complex™ a blend of powerful anti-oxidants and peptides to protect the skin against environmental aging factors. Irish beauty brand KARORA offers women a stylish skin caring choice in the natural beauty category. KARORA's collection of botanical bronzing products deliver custom colour with intense skin treatments that hydrate and enhance skin texture and tone. The multi-tasking formulas contain signature ingredients of grape seed, acai berry, jojoba and argan. The KARORA range includes their hero Instant Tan wash off, award winning Gradual Bronzing Moisturiser SPF15 and luxury Self Tan Mists – all at affordable price points. 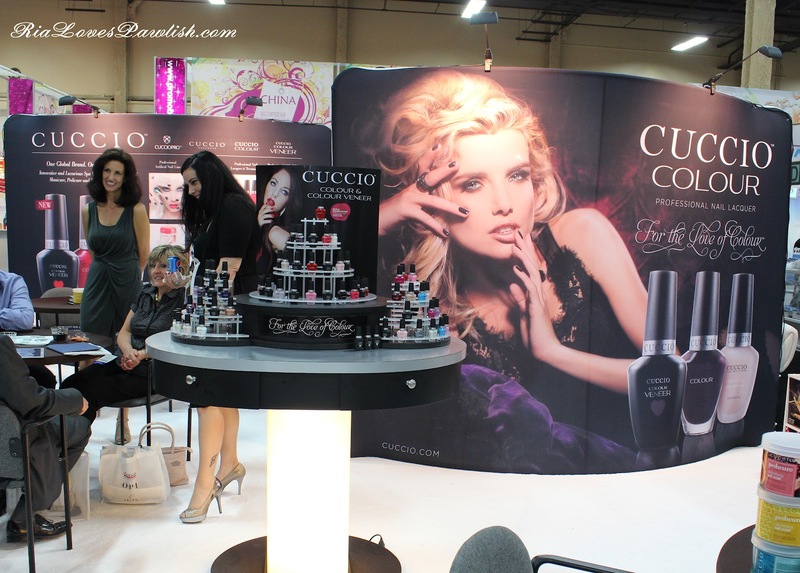 Layla Cosmetics has been creating trend setting and cutting edge products from Milan for over 70 years. 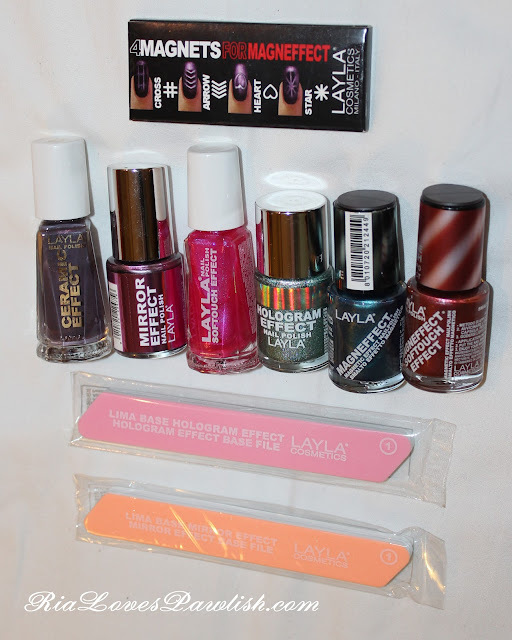 Fusing the latest in technology along with an Italian fashion influence, Layla reveals their newest collections for the first time to the U.S market unveiling ground-breaking innovation and nail art to the industry. Marula – The Leakey Collection has higher levels of antioxidants and omega 9 than argan or grape seed oil, offering better absorption and longer-lasting hydration. Light and powerful, this prized oil aids in leaving skin soft and supple with increased elasticity and firmness for a healthy, beautiful and age defying look. NIKI SAINT PIERRE BOTANICAL COSMECEUTICALS is a groundbreaking facial skin care line of intensive treatments designed to support the skin's natural processes. It works overtime--at night, while you sleep--to optimally support the skin's functions (ie: cellular turnover, replenishment, tissue repair and regeneration) enabling it to function more efficiently and in a more youthful state. Free of parabens, mineral oil, synthetic fragrances and coloring. The result? A natural, radiant, healthier youthful look. Created by men specifically for men, Recipe for men is pure hydration and energy for the skin. Developed in the harsh winters of Scandinavia, the formulations are carefully selected to fit a man's needs. With oil-free textures that guarantee quick absorption and minimize shine, Recipe for men stands for logical skincare without fuss. Made in New Zealand with pure ingredients and no nasty chemicals, Scarlett & Greene is the hottest natural, youth skincare range to hit the market. Combining the best of science and nature we've formulated a range specifically for the young.(13-25yrs). Our unisex range is simple and effective leaving young skin clear, fresh and looking hot! TEMPTU, the leader in AIRbrush Makeup was founded in 1981. With the introduction of the AIRpod Makeup System, TEMPTU has revolutionized makeup application for every woman – it's fast and easy to use, and in just three steps and less than three minutes, you get results that are truly flawless. At 13 years old, Isabella Haddad and her sister were playing with their mom's temporary Chanel tattoos when she affixed them to her lips. Just like that, the idea for temporary lip art was born as Isabella and her family set out to create FDA approved, cosmetic grade lip appliqués. 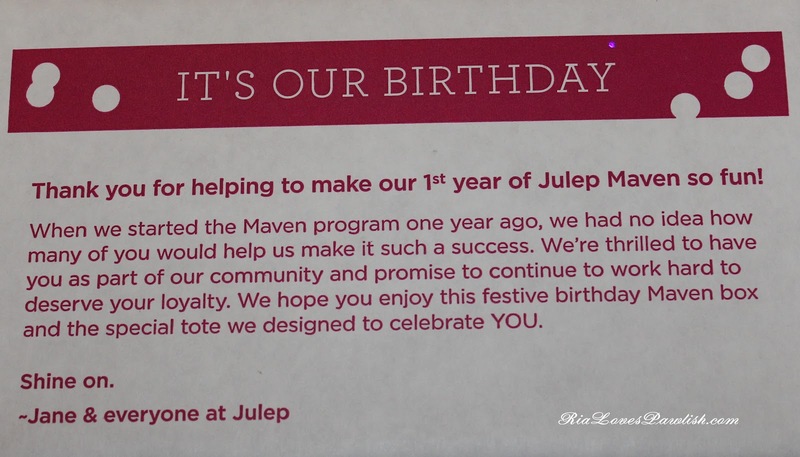 Fast-forward two years later and her company, Violent Lips is one of the fastest growing trends in beauty - being hailed as the "Future of Lipstick" by Allure Magazine.